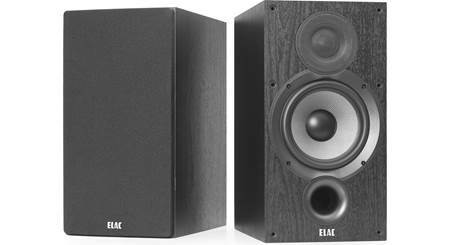 Building a new stereo music or small-footprint home theater system? 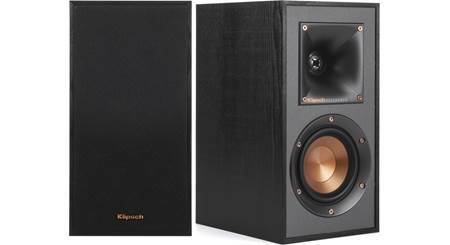 Building a new stereo music or small-footprint home theater system? 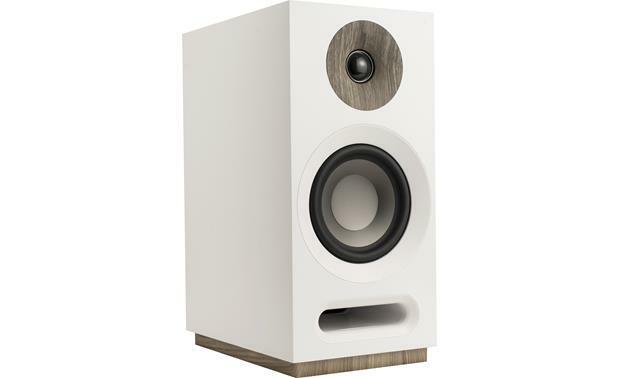 Then consider the Jamo S 803s — these attractive bookshelf speakers feature a 5" woofer and 1" soft dome tweeter for clear, natural sound that won't take up much space in your room. 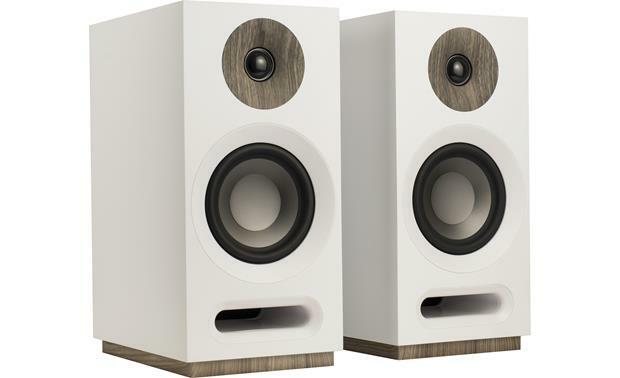 I especially like how these compact speakers look with their magnetic grilles removed — their tasteful wood accents give them a fresh, modern look. 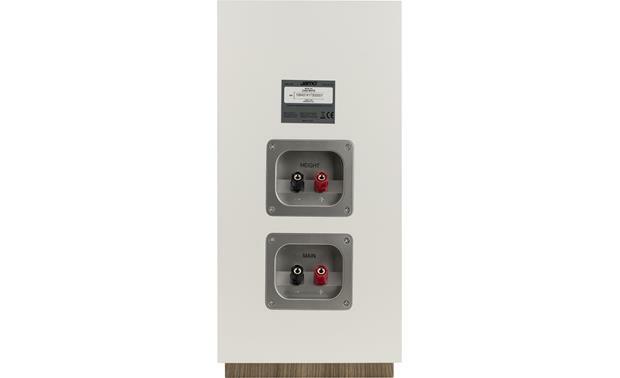 The S 803s have integrated metal fasteners on the top of their cabinets, which serve as a connection point for optional Jamo S 8 ATM Dolby Atmos upward-firing speakers. 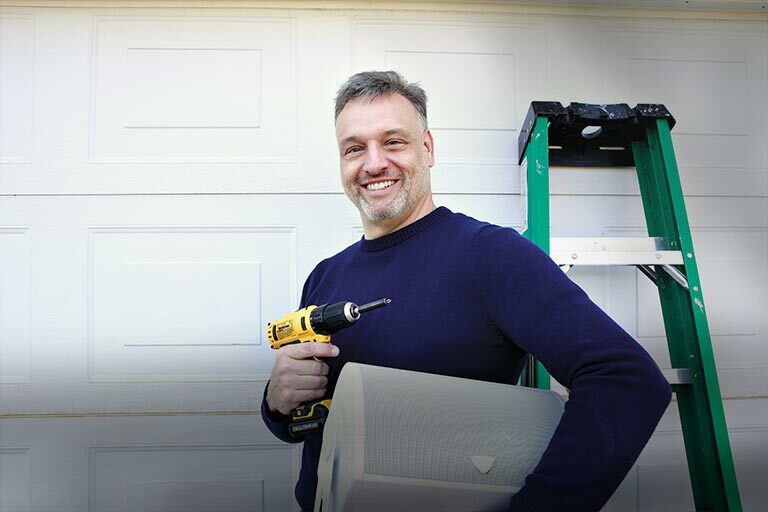 This unique pairing gives you three-dimensional sound without needing to install in-ceiling speakers in your room. How many WPC are recommended for these? Based on what I am pushing them with, I would think that anything from 50 to 80 watts will do them justice. 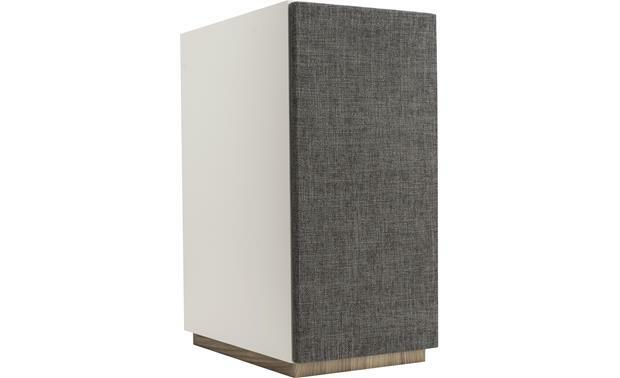 Two-Way Bookshelf Loudspeaker: The S 803 bookshelf speaker features a 1" soft-dome tweeter for smooth, refined high frequencies, and a 5" aluminized polyfiber woofer for balanced, musical low end. 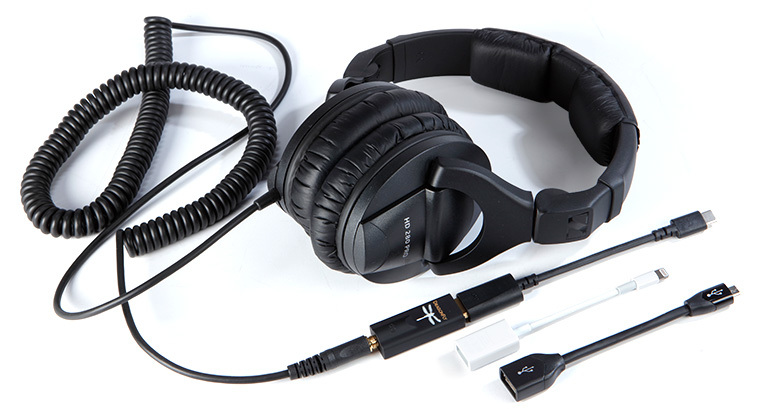 The integrated WaveGuide focuses the high frequency sound for dynamic, true-to-life reproduction, while the front-firing slot port allows for better low frequency extension and more flexible placement options. Compact Enclosure w/ Wood Accents: The S 803 is specifically designed and engineered to provide exceptional output and balanced, full sound in almost any application despite it's small cabinet size. Wood accents give the speaker cabinet a handcrafted, natural look. Magnetic Grille: The S 803 comes with fully magnetic grilles (no mounting holes or push pins) for a clean, minimalistic front-baffle design, while the large woven linen grille cloth features a heavy texture which finishes off the loudspeaker's modern look. 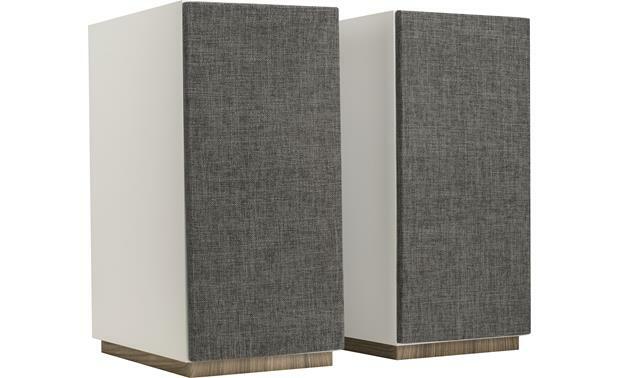 Binding Post Terminals: Each bookshelf loudspeaker is equipped with two sets of binding-post speaker terminals - one set for the S 803's tweeter & woofer, and the other set for when using the optional Dolby Atmos Elevation speakers from Jamo (sold separately). The terminals labeled "Main" will connect to your receiver's Front or Rear channel speaker outputs (depending on how you are using the bookshelf speakers). The terminal's labeled "Height" will connect to receiver's Height/Dolby Atmos channel speaker outputs (make sure you have your receiver's amplifier configured for Dolby Atmos). These binding-post terminals will accept bare wire (up to 10AWG), pin-connectors, spade-lugs, and banana plugs (single only). 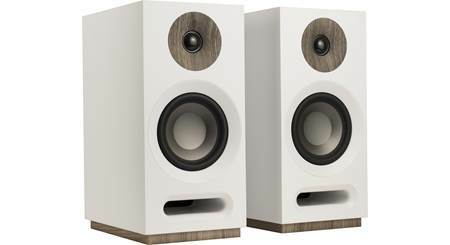 Applications: The Jamo Studio 8 Series S 803 bookshelf loudspeakers can be used for the front or rear channels in a home theater system, or standing alone in a strictly two-channel stereo system. Placement Options: As front channels in a home theater setup or as a 2ch speaker system, the S 803 should be positioned so the loudspeakers create an equidistant triangle between the speakers and your main listening position. They should be positioned no less than 6' apart and at ear level in your seated listening position. As rear speakers in a home theater setup, the speakers should be positioned directly to the left and right of your main listening position, or just behind the main listening position at a 20° angle, plus placed approximately 6' above the floor (measuring from the top of the cabinet). Mounting Options: The compact cabinet and front-firing port of the S 803 allows for extremely versatile mounting options on a table-top, shelf, or stand. Four integrated rubber feet provide a non-slip surface. 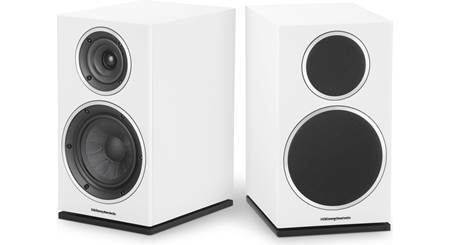 The bookshelf speakers do not provide any hardware to wall-mount the speaker, but can be wall-mounted using side-clamping wall-mount brackets (sold separately - see Accessories Tab). I don't sure there's an official recommendation. They like power, so I wouldn't run them without at least 80w at a reasonable THD since they can deliver impressive clarity for its tuning. The speaker says that 80 watts per channel are recommended, I'm running on a 75WPC receiver and I feel like they could use a little more punch. I looking to upgrade to an amp or integrated amp because I feel these produce better sound a lower listing levels. I'm am however just guessing because I have only had them hooked up to the receiver so far. Probably going to want an amp 40 wpc minimum, if you want to play them really loud then you might want to get an amp with 60 or 80 wpc since the 40 watt will probably start to distort if you max it out. 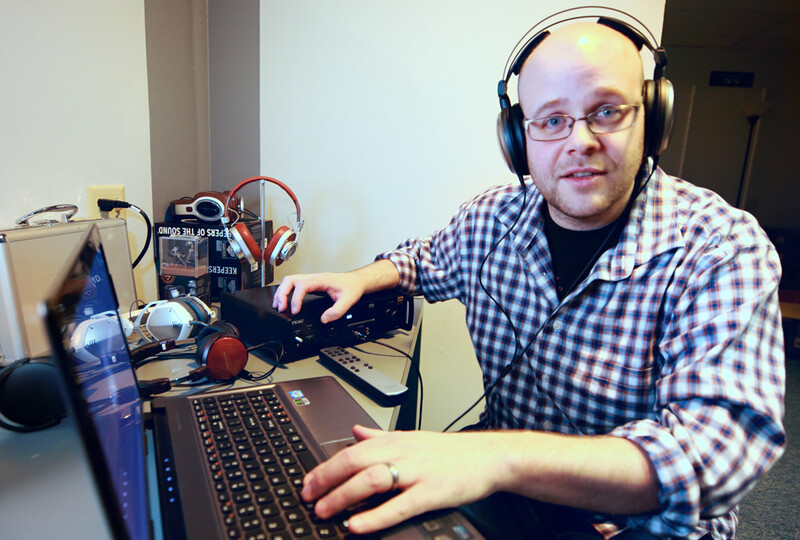 I typically listen at 1/3 volume on an 80 wpc amp (2.1 setup). Searches related to the Jamo S 803 Dolby Atmos® expandable bookshelf speakers.